Looking for a PYO farm Within the St. Louis Metro area? 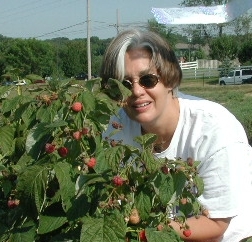 The University of Missouri and University of Illinois jointly published a 2012 guide to local St. Louis Area fruit & animal product Farms, CSA's and Farmers Markets that is available online: http://extension.missouri.edu/ecregion/market/index.html. Unfortunately, there are numerous, serious omissions in this edition so this should not be considered a comprehensive listing.